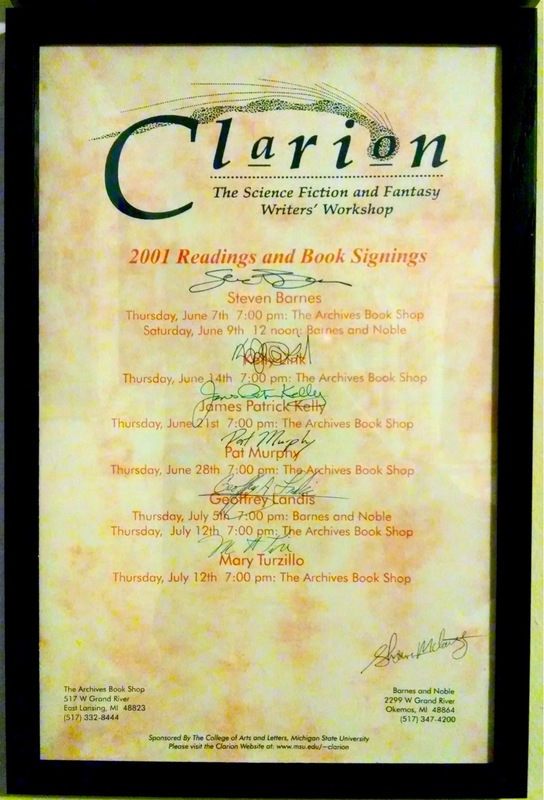 I have written a lot about Clarion, the science fiction and fantasy writing workshop I took back in 2001—in particular my Clarion journal and my six-post series on what to do if you can’t go to Clarion. 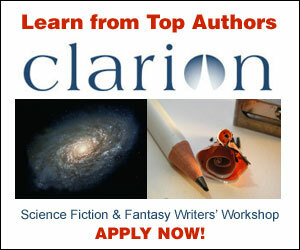 If you want to go to Clarion—and if you’re an aspiring sf&f writer, I highly recommend it—you’ll be glad to hear that the application period has just opened. It was one of the most useful things I’ve done to improve my craft. It was also a lot of fun. It is only modestly expensive in terms of cost, and there are scholarships to help those who in need. 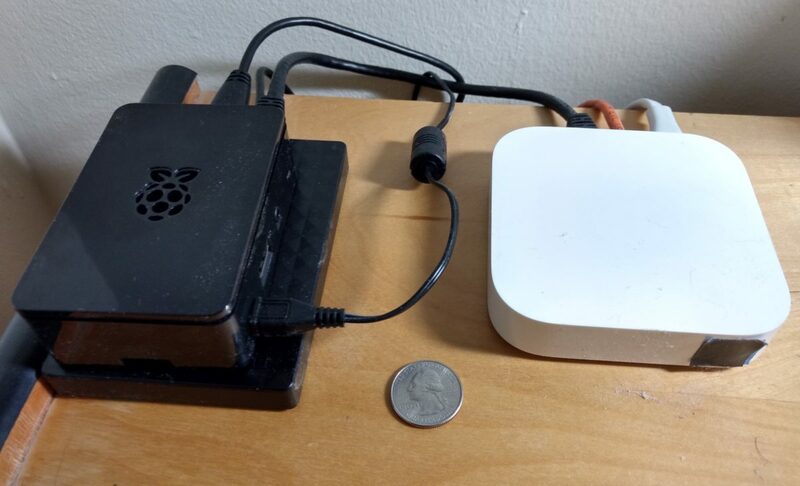 It is mostly expensive in terms of time: six weeks. 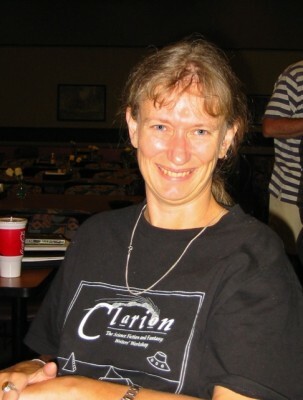 That’s a long time to absent yourself from your job or your family, but Clarion makes very good use of all that time—every minute is well spent. If you apply, or if you go, I’d be pleased to hear from you. 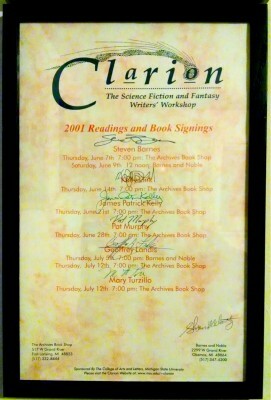 Every year there’s a new Clarion class. Every year I’m a bit jealous of the new batch of students getting to study with the new batch of teachers. There’s a little overlap this year—one of the anchor teachers, Kelly Link, was my instructor for week two. The others I haven’t studied with, but I’ve met some and read their work and would jump at the chance to study with them. 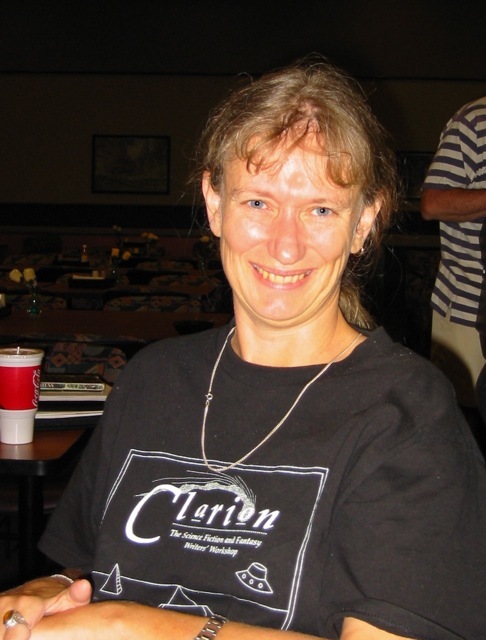 I’ve written a good bit about my own experience at Clarion, besides keeping a daily journal while I was there. 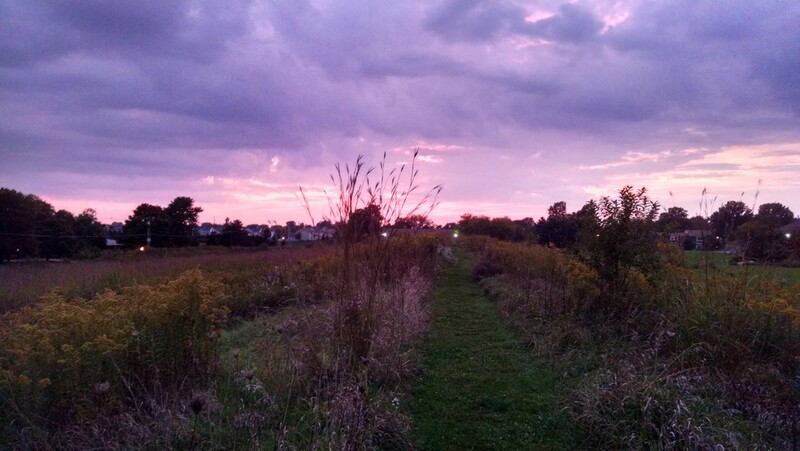 A year or two ago, I also wrote a series of posts on doing Clarion at home, if for one reason or another you couldn’t go. 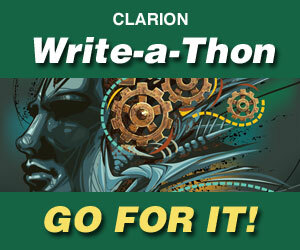 But really, if you have a choice, it’d be much more fun to do Clarion at Clarion, if you possibly can. Head over to the Clarion site to apply.